Not much. Did you see this? Tesla blamed “production bottlenecks” for making only a fraction of the promised 1,500 Model 3s. Unknown to analysts, investors and the hundreds of thousands of customers who signed up to buy it, as recently as early September major portions of the Model 3 were still being banged out by hand. Very revolutionary of them building parts by hand. Just to make sure I understand what's going on: Tesla projected that they would be building 1,500 Model 3s during 3Q17, but actually only produced 260. That is quite the shortfall. Though it's not like Elon to make promises that he can't keep. I'm sure this is just a one-off aberration. Definitely. It must be a one-off thing. Elon always keep his projects on schedule. What I actually mean is Elon never keeps to his schedule. It's not just on the production side. Remember this manifesto from a little while back? All the fanboys and Redditors ate it up. I think that it's easy for people to envision this future world in which all the cars are electric and self-driving and we are summoning them from our smartphones, so whoever lays out a semi-coherent "plan" is celebrated it. Plus the Cult of Elon is a very real thing. But Tesla failed on much of this too if I recall. They didn't use profits from the expensive Model S to fund the Model 3; they had to raise $1.15 billion in financing. He also said that they would be cash flow positive relatively soon and clearly missed that target as well. But aside from Elon Musk's tendency to hype up product announcements and engage in poorly executed non-synergistic alternative energy M&A (ahem Solarcity), the broader narrative around Tesla has been that they are going to "disrupt" the automotive industry by building sleek, self-driving, fully electric cars to compete against lumbering gas-guzzling dinosaurs from Detroit. This is clearly priced into the stock: Tesla currently has a market cap of $59 billion, compared to General Motors which has a market cap of $66 billion. This is despite the fact that Tesla sold less than 100,000 cars in 2016, compared to 10 million for General Motors, and it's because the market is expecting that Tesla will be the the next GM or Ford. Wall Street is definitely buying into the vision of Tesla being the 21st century GM, but let's dive a little deeper. What are Tesla's core competencies? They should be lauded for bringing a fully electric car to market, but they can't even produce more than 100,000 cars in one year. Are we sure they can scale this up? At this point I'd say that Tesla's differentiation points over incumbents are the electric powertrains, self-driving tech, and huge amounts of hype. 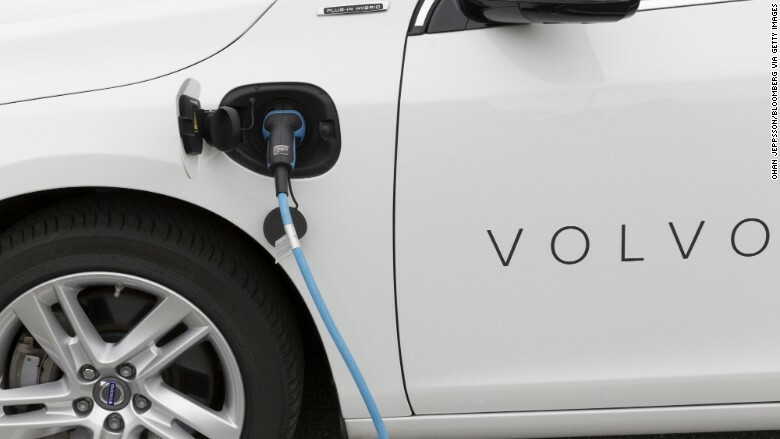 They were the first to deploy a network of supercharging stations, the first to bring a truly compelling electric vehicle to market, and arguably have the most autonomous-ready offerings. However, as we discussed earlier ramping up production isn't necessarily their strongest suit. That presumably includes materials procurement and supply chain as well. Agreed. You do bring up some good points about putting the infrastructure Tesla has built out to support a true electric vehicle including the Supercharger network, but I think companies like Ford and GM are catching up in developing EV cars. Look at GM. They were able to bring to market a fully electric car with comparable range (238 miles per charge) that competes against the Model 3 years earlier than Tesla. 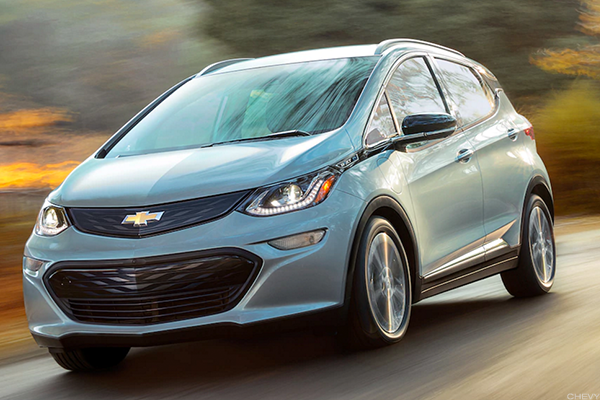 The inventory of unsold Bolts in the U.S. has swollen to an unacceptable level. While it isn't selling so hot/at all, the fact that they were able to develop and mass produce a fully electril vehicle shows how the incumbents can compete. In my mind, it comes down to the question: is it really that hard for car companies to make fully electric cars? 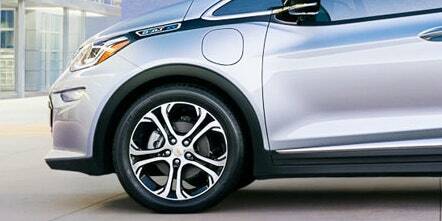 I think the question here is: is it hard for GM to make a compelling electric car? The answer is no; they've never had any reason to do so previously because customers were not demanding electric vehicles and there was no regulatory mandate. My sense is that as a consumer it's hard to justify an electric vehicle purchase. The Chevy Bolt for example may well be a great car but it starts at $30K after a Federal Tax Credit and can easily go up past $40K. This is more than 2X the price of similarly sized gas-powered competitors. What this tells me is that at this point consumers are only going to pay up for EVs if 1) they have really compelling extra features (like autopilot) 2) gas prices go through the roof or 3) there is some regulatory action to incent purchases. Regulatory action is a pretty big catalyst to get a nascent market started. 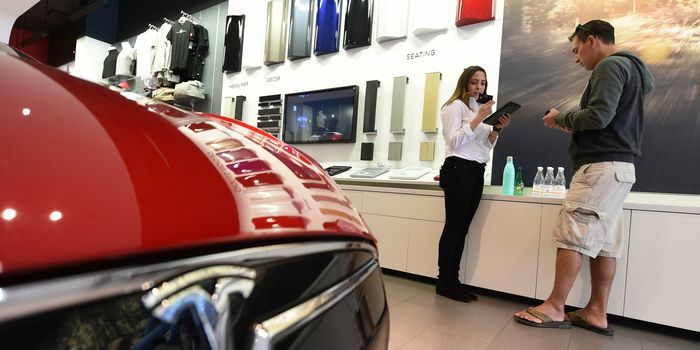 While we may be embracing some dated energy policies in the United States under DJT, China (world's 2nd largest economy) is following the lead of India, France, Britain and Norway by drafting up regulation to end the sale of gasoline and diesel cars. Home to the world's largest auto market, China is working on a plan to ban the production and sale of vehicles that rely on fossil fuels, officials say. China is the largest car market in the world with over 30% of all global passenger car sales. If they move forward with this change, traditional car companies are going to need to develop and sell fully electric vehicles. While the underlying technology might be different, these companies with their thousands of engineers and decades of manufacturing experience will find a way to adapt quickly. Tesla was able to establish an advantage early on because traditional companies didn't focus on developing EV's. Once GM and Ford start seriously pursuing this, do you think Tesla will be able to keep it technological lead? It's hard to say for sure but in this instance, I'm inclined to bet on the incumbents. For one thing, as you've said companies like GM have decades of experience and massive global supply chains with established sourcing mechanisms. They also have a profitable existing business that they can plow into R&D, and as they ramp up production they can potentially realize some super fun economies of scale. It also helps that battery prices are going down, motors are getting more efficient, and cars are getting lighter, so those are tailwinds. That's in addition to dropping a cool $1 billion on Cruise Automation last year. The giant automaker will start with 20 new all-electric models by 2023. This is super interesting to think about, because an electric car is much more of an "appliance" than a gasoline-powered car. 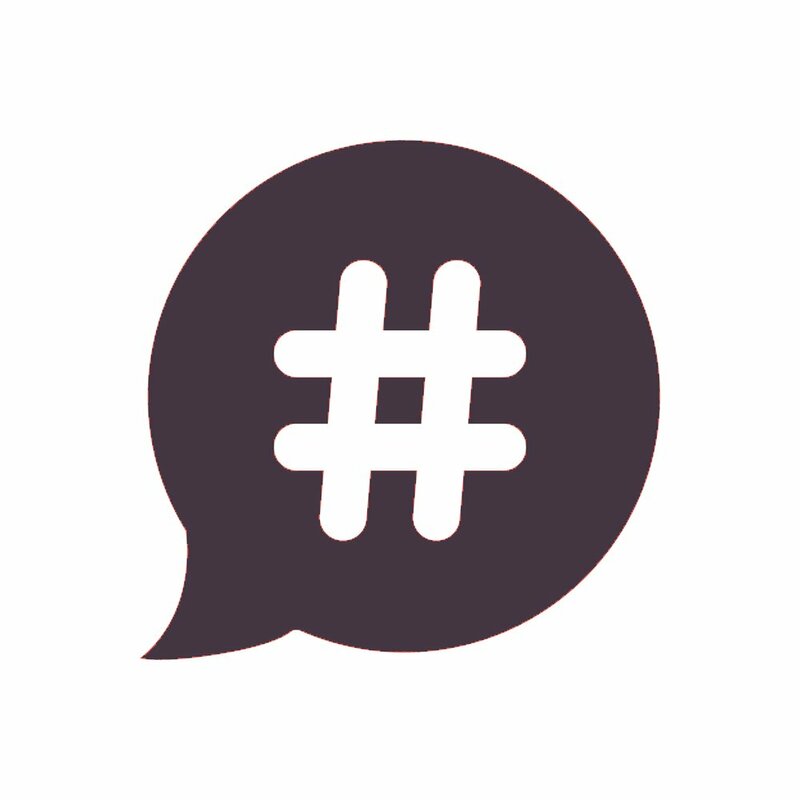 There are very few moving parts and the components can all "talk" to each other in a very techy sort of way. What this says to me is that GM wants to really "own the stack" and vertically integrate into EVs and autonomous cars. 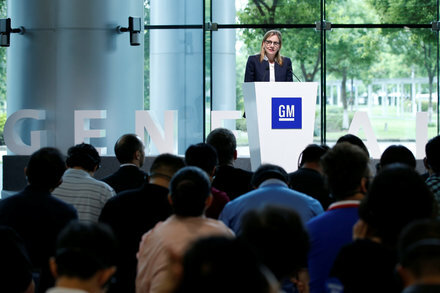 The worst situation for GM would be to end up the equivalent of a Huawei or HTC or some OEM into which someone else's fancy software is layered. 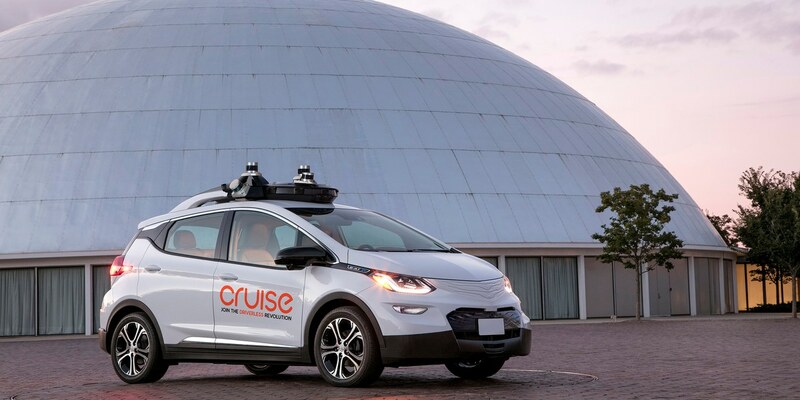 GM wants control over the production cycles, they want to develop the tech to their own custom specs, and they also want to preserve their very profitable PXQ business model. France, Great Britain, the Netherlands, and Norway have all said they plan to ban the sale of gas and diesel cars in the coming decades. from an existential standpoint GM also wants a piece of the future. GM is making a push into technology with all these acquisitions but Tesla does have the advantage of all that real world data captured by their autopilot functionality. The race to the first fully functional driverless car heats up. It's definitely true that having driven all those miles and accumulated all the associated data gives Tesla a leg-up in optimizing autonomous systems. But look at this another way; Tesla sold less than 80,000 cars last year, and that was their best year. Over their lifetime Tesla has sold less than 250,000 cars. A company like GM only has to get the bare minimum data-collection product deployed in 2.5% of their 10,000,000 annually-sold cars to start generating an equivalent number of miles. They're ready for the passengers and the production line, says the company. Cruise touts this new development as a giant step that puts it ahead of the competition. No one else, the company claims, has a "production design" self-driving car ready to roll off the factory line. Some of this is definitely Elon-style hype but if that's what it's going to take, I look forward to the ride.